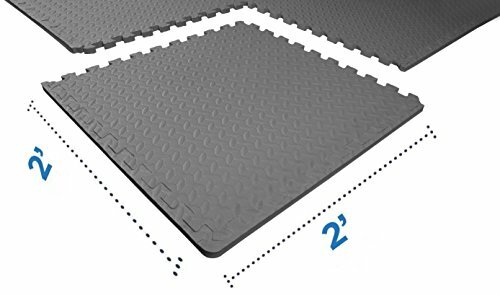 Overview: With non-slip surfaces, BalanceFrom puzzle mat comes with an excellent slip resistant advantage to prevent injuries. 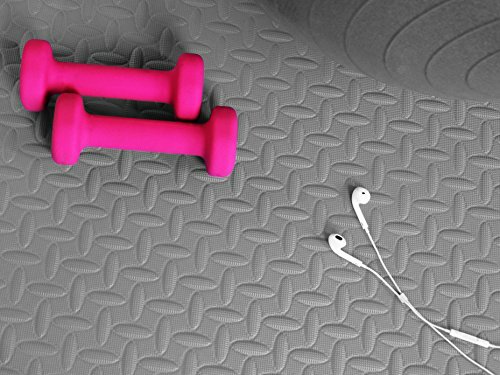 Exceptional resilience allow you to keep your balance during any exercise style. moisture resistant technology makes the mat to be easily washed with soap and water. nterlocking feature and lightweight make it very simple to assemble. Dimensions: Different sizes to choose from. 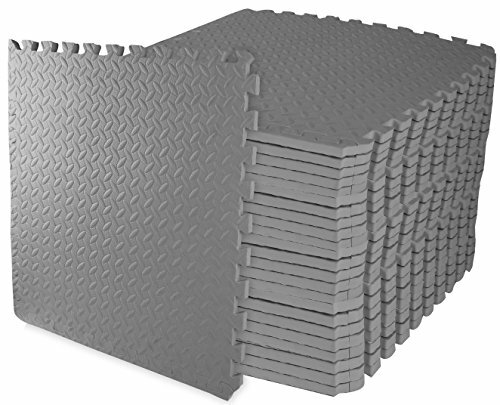 With high density EVA foam, the mat comfortably cushions spine, hips, knees and elbows on hard floors. 1/2" Thick, 24 Square Feet: Item comes with 6 tiles and 12 end borders at 1/2" thick. Each tile measures 24"x24"x1/2". Covers 24 Square Feet area. 1/2" Thick, 144 Square Feet: Item comes with 36 tiles and 72 end borders at 1/2" thick. Each tile measures 24"x24"x1/2". Covers 144 Square Feet area. 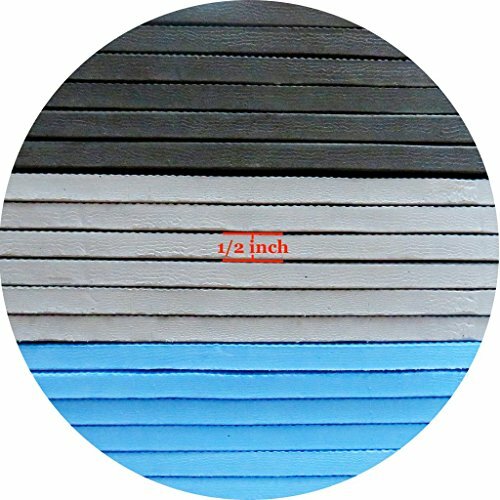 3/4" Thick, 24 Square Feet: Item comes with 6 tiles and 12 end borders at 3/4" thick. Each tile measures 24"x24"x3/4". Covers 24 Square Feet area. 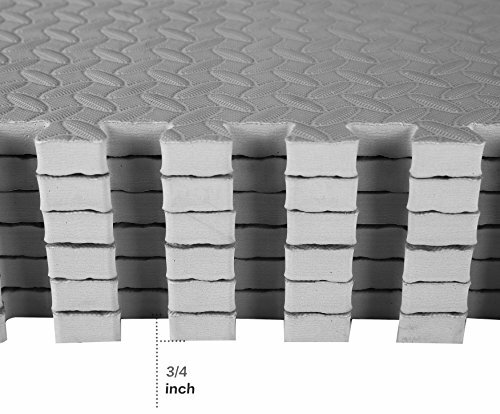 3/4" Thick, 96 Square Feet: Item comes with 24 tiles and 48 end borders at 3/4" thick. Each tile measures 24"x24"x3/4". Covers 96 Square Feet area. Warranty: All genuine BalanceFrom products come with a 2-year warranty and 100% BalanceFrom Satisfaction to make your purchase worry free. Simply contact us or your vendor if you have any questions. Customer satisfaction is our highest priority.